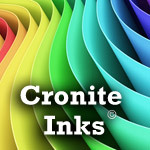 In addition to producing secure and unphotocopiable images, the Cronite Hi-Speed die stamping or flat stamping intaglio press can be used to produce elegant stationery and business identity programs. The elegant stationery produced on our machinery will make a lasting impression and get your customer’s message noticed. 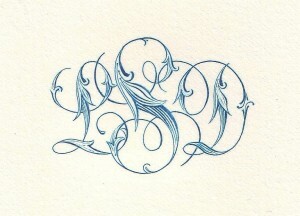 Engraved or intaglio printing is the finest of the graphic arts. 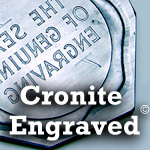 Cronite has developed and manufactures the highest quality flat stamping intaglio presses in the industry. Each press is the result of over 100 years of experience in the industry and is designed with the operator in mind. Each press can effortlessly handle paper stock of different thicknesses and sizes. In addition, perfect image registration can be obtained which results in effortless operation of the press. An average press operator can produce between 4,500 and 7,000 impressions per hour when used in conjunction with a feeder and drier. The short stoke 3 x 8 ¾ press can run at higher speeds and has been operated at 10,000 impressions per hour. The 3 x 8 ¾, 5 x 9 and 7 x 11 presses can be fitted with a sheet feeder and Telestacker drier/conveyor. 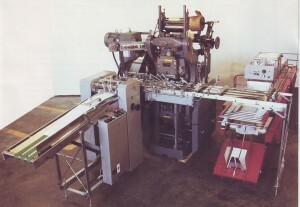 In addition, the 5 x 9 and 7 x 11 press can also be equipped with a continuous feeder which can be arranged to handle pin hole paper in pack to pack or rolls of paper. The continuous feeder is perfect for label and packaging applications. While a good investment on its own, a Cronite press system is also very versatile as it can be outfitted with attachments that allow hot foil stamping and the application of registered holograms. In addition to our new press offerings, Cronite has an extensive list of used and reconditioned presses, feeders and driers. 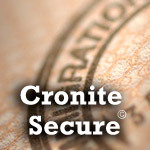 Please contact Cronite for an updated list of available inventory.